A favoured retreat of old Hollywood and America's elite selects VIP Worldwide to produce a new Virtual Reality campaign. Set amongst 22-acres of lush jungle and tranquil gardens, Four Seasons Resort The Biltmore Santa Barbara defines luxury living and service on the American Riviera. It’s the consummate destination for history and culture seekers or business travellers wanting world-class accommodations on an oceanfront setting with modern luxuries. Our award winning Virtual Reality development team will provide intuitive layouts, allowing the viewer to feel and breathe every element of your property. Within each VR app we can program each room in HD 360 video, add information points, regular 2D HD video, 360 photography and other digital collateral. VR increases sales due to its numerous benefits. It also helps with the upgrade path, the travel trade get to know your property without visiting, and meetings and event planners understand your offering better. VR is an extremely powerful marketing and communications tool and is changing how people travel and make travel decisions. The technology will allow their potential guests to be temporarily transported to sample authentic moments, experiences and adventures. Putting guests at the centre of the story is changing the way they experience, interact and engage with the hospitality and travel industry. Epitomising the casually sophisticated California lifestyle, the luxurious Four Seasons Resort will invite guests to indulge in a wide range of immersive guest experiences, from tours of local wineries to surfing, lazing on the beach or lounging poolside. 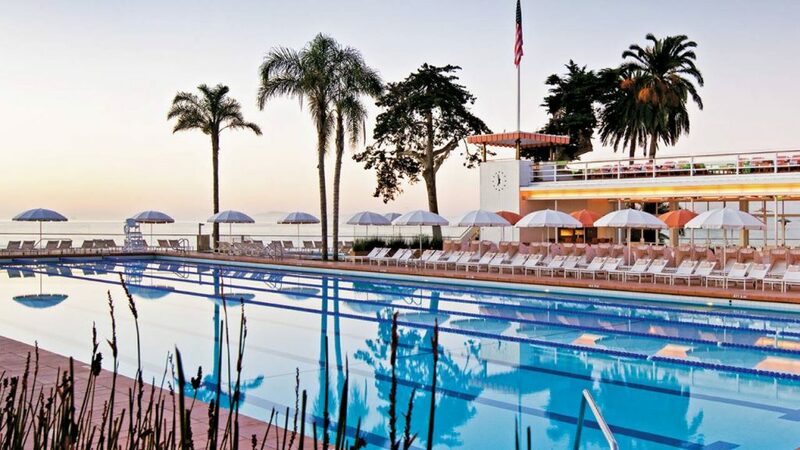 The Biltmore Santa Barbara perfectly combines the stylish elegance of yesteryear with contemporary chic. And yes, it’s still a Hollywood favourite!